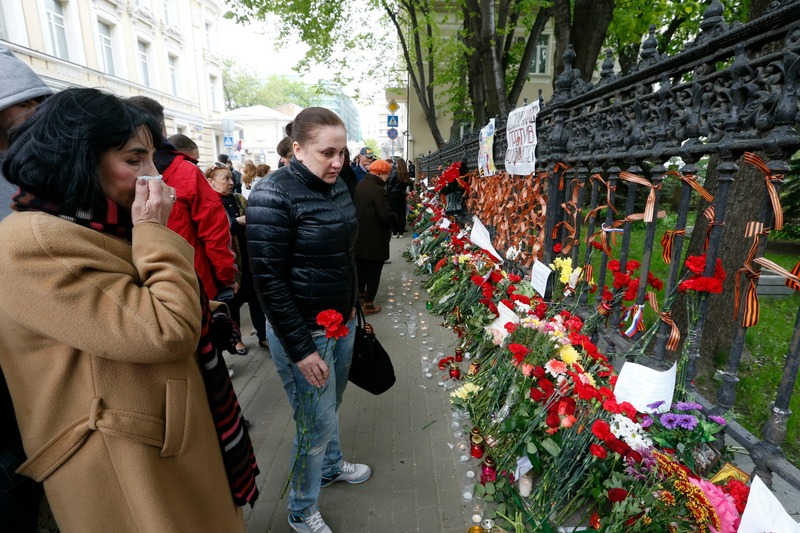 Ukraine’s tense Odessa marked yesterday (2 May) two years since clashes killed 48 anti-Maidan protesters during a confrontation with pro-Ukrainian unity protesters at the Trade Unions House in central Odessa. 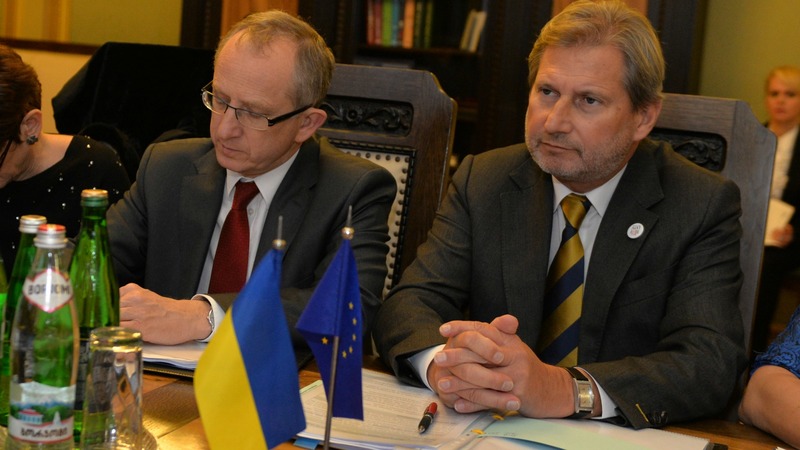 The EU urged Kyiv to investigate the tragedy. Ukrainian police in the tense southern city of Odessa yesterday discovered grenades near the site of commemorations marking two years since the carnage took place. Pro-Russian militants stormed a Ukrainian police station in Odessa yesterday (4 May) and freed nearly 70 fellow activists as the country’s leaders lamented a police force they said was widely undermined by graft or collaboration with separatists. Street battles between armed backers of the pro-Western government in Kyiv and the Kremlin in the historic Black Sea port killed six people and culminated in a building inferno in which 42 pro-Russians died. The violence erupted at the height of Ukraine’s pro-Russian eastern insurgency and sparked fears in Kyiv that Moscow was preparing an all-out invasion of the former Soviet state. That assault never came but the bloodshed ratcheted up the tensions and Russia later accused Ukraine of covering up an investigation into who was ultimately responsible for the deaths. The Office of the UN High Commissioner for Human Rights said the fatal chain of events was sparked when a group of pro-Russians armed with baseball bats and guns “provoked” the participants of the pro-Ukraine rally. A Ukrainian court is so far only looking into the case of 20 suspects accused of shooting dead six people during the pro-Kyiv march. The results of a probe into who was responsible for torching the building in which the pro-Russians took shelter when chased by armed Kyiv supporters have not been submitted to court. “I urge the government of Ukraine to follow up on the recommendations of the Council of Europe International Advisory Panel and to carry out an independent and transparent investigation,” Kyiv’s EU Ambassador Jan Tombiński said in a statement marking the anniversary. Moscow said Russian Foreign Minister Sergei Lavrov on Monday also stressed the need to bring the Odessa inquiry to a close during a telephone conversations with US Secretary of State John Kerry. The two-year separatist revolt Russia denies supporting has now killed more than 9,300 people and — along with the annexation of Ukraine’s strategic peninsula of Crimea – plunged Moscow’s relations with the West to a post-Cold War low. Around 1,000 people carrying flowers and banners with pictures of the victims massed on Monday outside metal detectors set up around the square at which the worst carnage occurred. “We will never forgive or forget,” a group of several dozen pro-Russians chanted while waiting for police to allow them into the commemoration site. Victims’ relatives eventually sent black balloons and white doves into the bright blue sky as it became clear that the riot-geared officers would not let them approach the building in which their sons and daughters died from the flames and toxic fumes. Several also plunged to their deaths after being unable to withstand the heat of the raging blaze — made worse by the Molotov cocktails being hurled at the building by some far-right Ukrainians. About 3,000 members of the security forces were called into Odessa as a precaution to prevent a repeat of the violence. Those troops helped find three grenades hidden near Kulykove Pole – the square where the Trade Union House in which the pro-Russians took refuge was torched. Police also reported making a handful of arrests but no serious altercations between two groups with diametrically opposed views of who was to blame for what happened in 2014. Former separatist leader Colonel Strelkov (real name Igor Girkin) stated in an interview in late 2014 that despite multiple provocations the people of Ukraine did not want to fight each other, until he made the war in the East unavoidable. One has to wonder whether the Odessa tragedy was one of the provocations that he was referring to. The onset as described by an eyewitness was a large, peaceful demonstration for Ukrainian unity that was attacked by a club wielding mob of perhaps 200-250. The several hundred police that were assembled stood and did nothing to stop the attacking mob. When the demonstrators turned on the attacking mob a group of peaceful pro-Russian protestors were swept up in the frenzy. Who organized the attacking mob and for what purpose is an important question among the many issues that must be investigated. Clearly, investigation of this horrific event where innocent people died must not be delayed. At this juncture Kyiv will whitewash any investigation, EU will try to wrench political points and nobody will be held accountable anymore so than the protest snipers in Kyiv that killed their own people. Lesson here: Never trust an EU trade deal.